Coping with Problems is a study designed to help one deal effectively with the various issues of life, including anxiety, loneliness, honesty, forgiveness, accountability and much more. 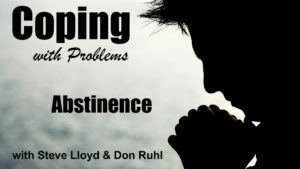 The program is hosted by Steven Lloyd and Don Ruhl and includes a total of 30 lessons. As human beings, we will face trials and problems of various kinds and various scales throughout our lives. Knowing how to cope and deal with these issues in a godly manner can make all the difference in the success of overcoming life’s hardships. 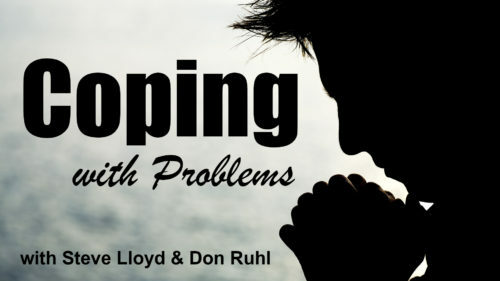 Join Steven Lloyd and Don Ruhl as present this introductory lesson on practical ways that Christians can lean on God and conquer life’s ups and downs. “For all have sinned and fall short of the glory of God,” Romans 3:23. Sin causes us to fail and not live up to the purpose for which we were created by God. In this lesson, Steven Lloyd and Don Ruhl speak on how to fully trust in God and strive to be Christ-like.